Temple Rodef Sholom has the distinction of being McLennan County’s oldest and largest Jewish congregation. Jewish permanent settlers made Waco their home in the mid-nineteenth century. 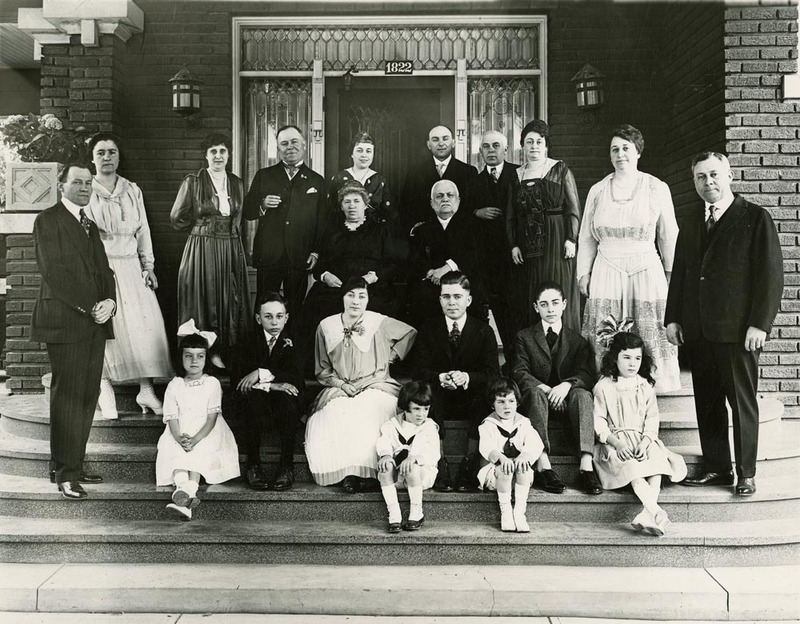 For many years no organized congregation existed; however, Jewish families did gather together to celebrate Jewish festivals and holy days at worship services held in rented rooms. On November 9, 1873, Eureka Lodge No. 198, International Order of B’nai B’rith (a Jewish service and fraternal organization) was established. Lodge members resolved in 1879 to organize a formal congregation and to raise funds for the construction of a synagogue. Forty families founded the congregation of Rodef Sholom. 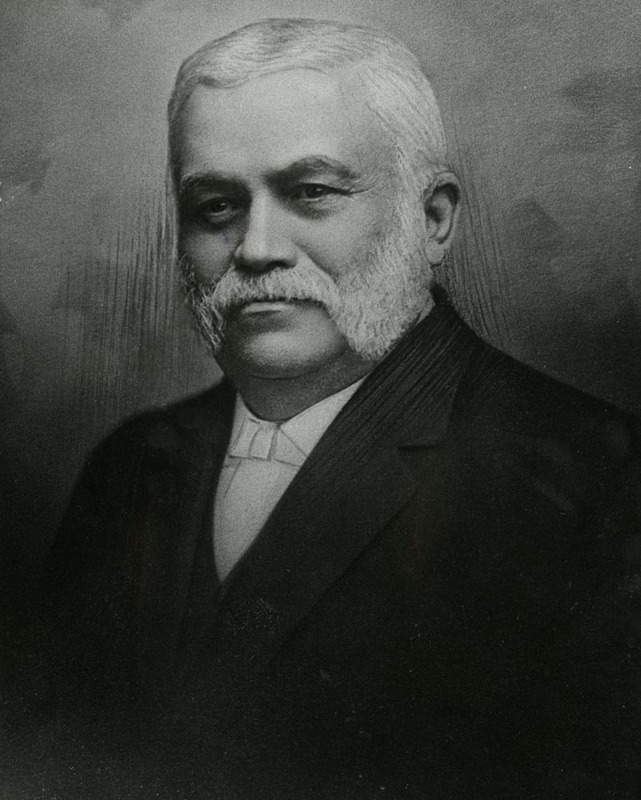 Among its original leadership were prominent Waco businessmen such as Sam Sanger, of the Sanger Brothers mercantile empire, and Louey Migel, co-founder of the Goldstein-Migel department store. 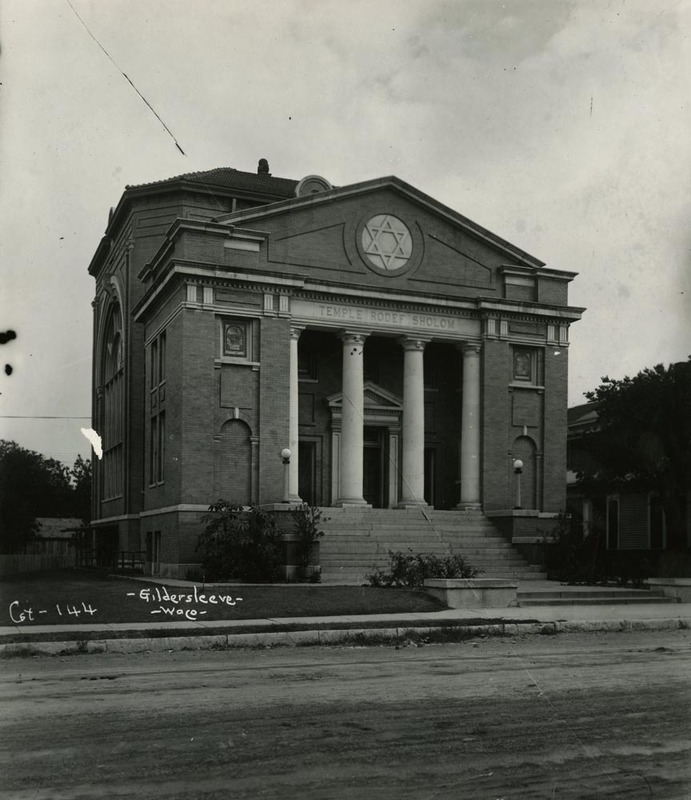 Rodef Sholom dedicated its first synagogue, located at 924 Washington Avenue, on August 10, 1881. By 1908, the growing congregation required a larger space and undertook efforts to replace their current structure with a modern stone temple. Famed local architect Milton W. Scott, responsible for the Dr Pepper building and First Baptist Church in Waco, designed the second synagogue. Completed in 1910, the second temple served the congregation until 1961, when once again spatial concerns necessitated the construction of a new synagogue. 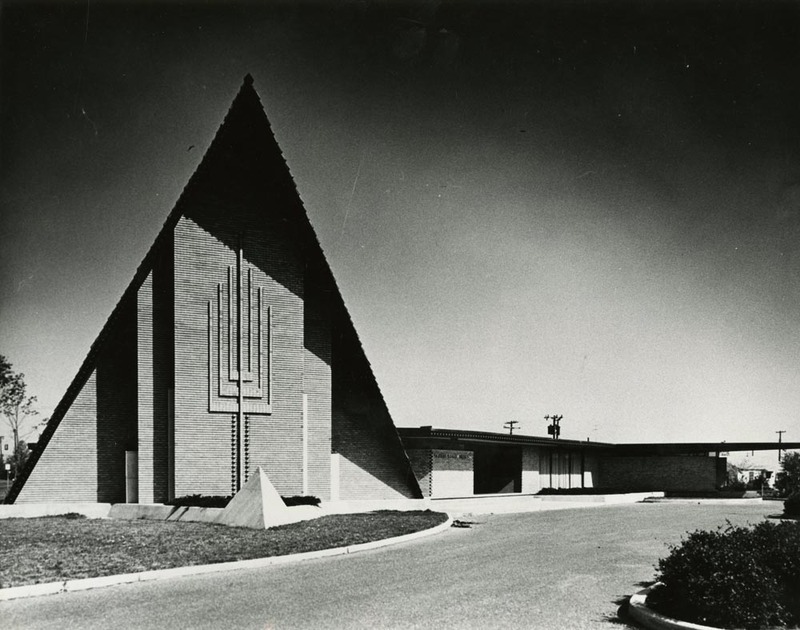 Located near the intersection of Forty-First Street and Colcord Avenue, the current Temple Rodef Sholom is one of Waco’s most striking places of worship. Not unlike a towering tent, the sanctuary recalls the Biblical ohel moed (tent of meeting) in which Israel worshipped during the wilderness sojourn. The roof is sloped in such a manner that it reminds congregants of the kanfe ha-schechina (sheltering wings of God’s presence), a reoccurring theme in Jewish sacred lore. Even the temple’s roof shingles carry added meaning as they were fashioned to resemble the traditional shingle form used by Eastern European synagogues destroyed during the Holocaust. The southeast wall features a menorah (branched lampstand) as a soaring bas relief. Affixed to the main doors are twelve copper plates bearing the names and emblems of the twelve tribes of Israel. The Religious School area is structured to resemble a magen david (shield of David), a six-pointed star. This design recurs in the glass-enclosed Memorial Fountain area, with a bronze memorial tablet on the east wall. A voluntary association of Jews committed to Liberal (Reform) Judaism, Rodef Sholom’s history is marked by a high level of community involvement and efforts towards ecumenism. Most of this civic engagement occurred at the lay (congregational) level. 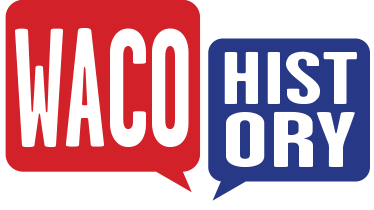 Member Issac A. Goldstein, concerned that many citizens did not have sufficient funds to purchase books in the late 1800s, established Waco’s first circulating library in the Goldstein-Migel store. He went on to serve as president of the Public Library Association of Waco from 1900 to 1920. Louey Migel made large financial contributions not only to charities related to Waco’s Jewish community but the YMCA, the YWCA, and the Red Cross. He was also a founding member of the Waco Working Boy’s Club. In the past thirty years, Rodef Sholom has been an active member of the Greater Waco Interfaith Conference, an organization designed to promote understanding and cooperation among the variety of faith traditions in Waco. Women have always played important roles in Rodef Sholom’s congregational life. The Temple Sisterhood, founded in the early 1920s, has been charged with organizing service and cultural programs and financing the temple’s Religious School. In 2012, Rabbi Laura Schwartz Harari became the first woman rabbi to serve Temple Rodef Sholom. Rodef Sholom is Hebrew for “pursuing peace” and it would seem that the civic-minded congregation has lived up to this title through service projects and participation in ecumenical efforts designed to bring together Waco’s greater community of faith. 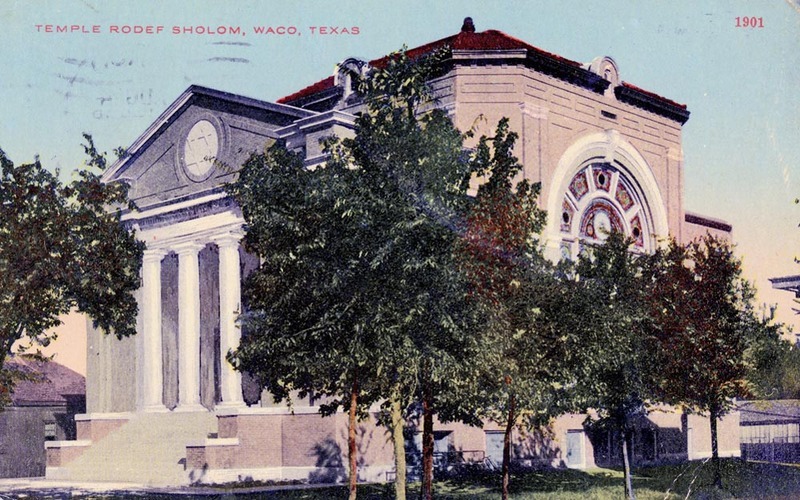 Prisca Bird, “Temple Rodef Sholom,” Waco History, accessed April 19, 2019, https://wacohistory.org/items/show/17. "Sanger, Sam." In Handbook of Waco and McLennan County Texas, edited by Dayton Kelley. Waco: Texian Press, 1972.Temple Rodef Sholom. Pamphlet on its architecture and artwork. Housed in Texas Collection vertical files, Waco, TX.Temple Rodef Sholom. Pamphlet on its history and symbols. Circa 1970s. Housed in Texas Collection vertical files, Waco, TX.